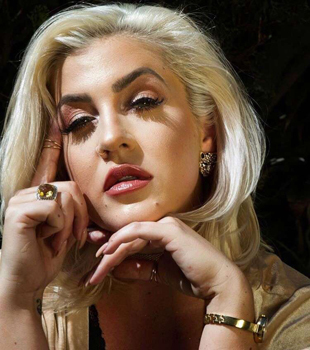 Joelle James Interview - Co-Writing The Hit "Boo'd Up"
Update: Joelle James won a Grammy Award for Best R&B Song, for co-writing “Boo’d Up” by Ella Mai. Joelle James, a young songwriter & artist based in Los Angeles, is enjoying major hit success for the first time. She co-wrote the Top 10 U.S. pop/R&B hit “Boo’d Up” for rising British artist Ella Mai. This song (co-written by Mai and producers DJ Mustard and Larrance Dopson) has steadily grown in popularity since Mai released the song on her EP Ready, in February 2017. Notably, “Boo’d Up” is one of the few, pure R&B songs (without a rap performance) to recently make the Top 10 of the Billboard Hot 100 chart. The chart success of “Boo’d Up” marks a breakthough for James, who has been working on both her songwriting and artist careers since graduating from Berklee College of Music (with a Degree in Music Studies & Voice). James, who is from Murrieta, CA (in Riverside County) was first discovered and signed by R&B star Chris Brown while she was attending Berklee. Brown was impressed by seeing her videos on YouTube, and signed her to his company, Culture Beyond Experience. It wasn’t long before James was also signed to Interscope Records as an artist. However, James did not become an overnight success. To the contrary, James was eventually dropped by Interscope and is no longer signed with Chris Brown. In the midst of pursuing her artist career, James made the strategic move to develop her songwriting skills. Instead of singing the songs that were pitched to her by songwriters, she focused on writing her own songs. One person who has played a key role in James’ development is hit writer/producer, DJ Mustard. He recognized her songwriting and singing ability, and invited her to co-write for some of his artists. One of the artists who DJ Mustard connected James with is Ella Mai. Mustard signed Mai to his label, 10 Summers, which has a partnership with Interscope Records. Mustard encouraged James to write songs for Mai (and with Mai), and “Boo’d Up” is now both Ella Mai’s and Joelle James’ first hit record of their careers. Currently, James is working on songs for herself as an artist, as well as writing for other artists. She has also been writing and performing songs for movie soundtracks, including the films Traffik and Two Minutes of Fame. She is managed by Bobby Francis (founder of Artist Live Global Village) and she has signed a music publishing deal with Roc Nation. DK: How did you get started as a singer and artist? Joelle James: I started singing at a very young age, when I was about five years old. I loved to sing, and I sang in the choir at church. DK: When you were attending Berklee College of Music (in Boston, MA), was your goal to be a singer and artist? James: Yes, absolutely. I always wanted to be a recording artist; that was my dream. I wanted to travel and sing for the world. While I was at Berklee, I posted videos on YouTube of me singing covers, and Chris Brown discovered my videos and contacted me. He signed me straight out of Berklee. After that, I was signed to Interscope Records, and I thought I was well on my way to stardom. At the time, I wasn’t writing songs yet. I was the artist that was in the room for sessions—people were having songwriters come to the sessions and try to write songs for me. DK: At what point did you decide to write songs? James: While I was signed to Interscope, I got caught up in the shuffle where [the execs who signed me had left]. So in that transition, my focus for my artistry at the label was kind of lost. So when that happened, I thought…let me try to write songs myself. Let me try to get sessions and not have to hire a songwriter to come to my session and write for me. So that’s how I began writing. It was really just diving into it and trying to do it myself. I kind of taught myself songwriting after watching others do it. DK: Congratulations on co-writing the hit, “Boo’d Up.” How did this song come together with Ella Mai? James: Thank you. I actually wrote “Boo’d Up” a couple years ago at a [record label] session. I believed in this song so much, that from the day I came home from the studio after I wrote it, I just had this gut feeling that this song was special. The label liked the song, and there was talk of them doing a deal with me, but it didn’t end up going through. Later that year, I had a session with DJ Mustard and I played him “Boo’d Up.” He loved the song, and there was talk [about doing something right away with it]. As it turned out, the song sat on the shelf for another year-and-a-half. Then when Mustard signed Ella Mai, he called and asked me to come write for her and work with her. And the same day that we had our first session, I mentioned to him, “You should give her “Boo’d Up…you should tell her to cut “Boo’d Up.” I knew that Ella Mai would be the perfect artist for this song…she was a new, fresh artist. [More time passed], and then Mustard told me they cut “Boo’d Up.” He sent me a Snapchat of Ella singing it at the studio. She added a bridge (to the song) and then she released it on her EP (Ready). It was released (in February 2017) and she went on tour. I heard that she eventually added it to her setlist, and it was getting a great reaction. When I worked with Ella shortly after she got off tour, she was like, “Oh my gosh, everybody loves “Boo’d Up”…it’s so crazy.” And I was like, “Yeah girl, you need to do the video and you need to push that song.” Eventually, it was released as a single. DK: So how does it feel now, to see “Boo’d Up” become a big hit? James: It feels amazing…I’m so happy that people love the song. I feel the song embodies a message of love, and I think that’s what really makes me happy. And I’m so glad that it’s Ella who’s having a hit with this song. DK: Now that you’ve had this hit, are you getting more opportunities to co-write and work with top artists and writers? James: I recently spent a week in Las Vegas with Warner-Chappell Music (who administers Roc Nation Music Publishing). They had me come out to this big writers’ camp that they do every year. I’ve also been working on songs [for my artist career], and I also pitch songs to other artists and try to get them placed. I love all kinds of music, especially R&B, urban, and soulful pop. So I’m excited to write these R&B love songs for girls and young women. Whenever there’s a young R&B artist coming out, I would love to write a song for them. I’ve also been working a lot with Lionsgate and Codeblack Films, doing movie soundtracks. I really love doing that. I just did the whole soundtrack to the movie Traffik, that was in the theaters in April. And I’m [working on music] for a couple more movies coming out this year..
DK: For your own artist career, do you have any songs coming out? James: For myself, I did the video for a song called “Bleeding Machines”—it was the theme song for the movie, Traffik. I’m excited to release all the music that I did for Traffik. And then I’m always in the studio. I have about three, solid projects finished. Now that people are wanting songs from me, I’m excited to write songs for them. I’m excited to share my music with everybody.